Pakistan Probe: Why Umar Akmal drops out from T20 Squad? 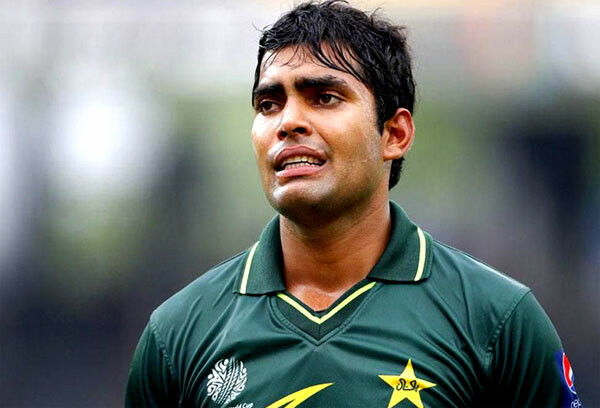 Why Umar Akmal drops out from T20 Squad? Umar Akmal is talented and a good batsman but due to some reasons he is always trapped in controversies. The 25-year-old Umar was allegedly involved in an incident involving “mistreatment” of women while playing a first-class game in Hyderabad last week and was issued a show cause notice requiring him to appear before selectors. Chief selector Haroon Rasheed said Umar was dropped on the instructions of the Pakistan Cricket Board (PCB). “Umar had been penciled in for selection, but he has subsequently been dropped on instructions from the PCB, as he has been issued with a show-cause notice for bringing the board and Pakistan cricket into disrepute,” Rasheed was quoted as saying in a PCB release. A PCB statement said Akmal was in contention for a place in the T20 squad, but he was dropped after press reports revealed that “he had brought PCB and Pakistan Cricket into disrepute." Umar was last year jailed for beating a traffic warden in Lahore and his obscene photos circulated on social media a lot. Recently Umar was also seen dancing in a party. PCB chairman Shaharyar Khan said Umar would be given an opportunity to clarify his actions. “There should be an inquiry and Umar will be given an opportunity and after that we will take action,” Khan told media. “He is suspended and was not included in the team before we make a decision. In an interview to a national news channel, Umar said he was just dining out with boys whose name he will not take. Management was informed for my activity and I did nothing immoral there. This is not just to drop him off from the team. Surely Umar will give justification for his before board but Umar remained unaware for this decision by the board. What is the reason that Umar gets into the limelight but behavioural misconduct? The reason could be that at very young age he got lots of fame and now his immodest behaviour is not enough to handle this fame. Many Pakistani players get involved into some controversies because of their ignorance. But from past few incidents the board keeps them warning. Even then Umar did something which became a problem for this talented player.